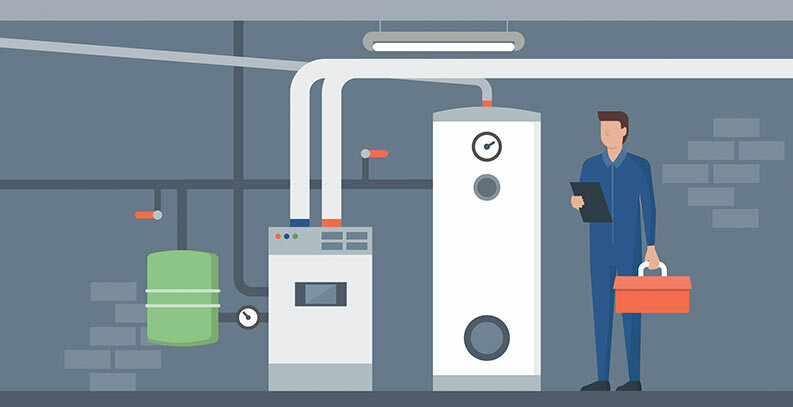 Winter is Half Over: Is Your Furnace Feeling the Heat? Winter is hard on everybody. With temperatures ranging from cold to colder and colder still, it can feel like you live, eat, and breathe cold weather as you run between your house and your car and your work and back again to stay in the warm indoor air. Of course, you have your hard-working furnace to thank for the presence of all that warmth! Here in Canada, our furnaces pull overtime shifts on a regular basis to keep winter’s chill at bay. What this means for those of us in the HVAC industry is this: right around the start of each year, we receive an increase in emergency maintenance calls. Furnaces are starting to feel the heat and conking out, leaving families and work groups out in the cold. 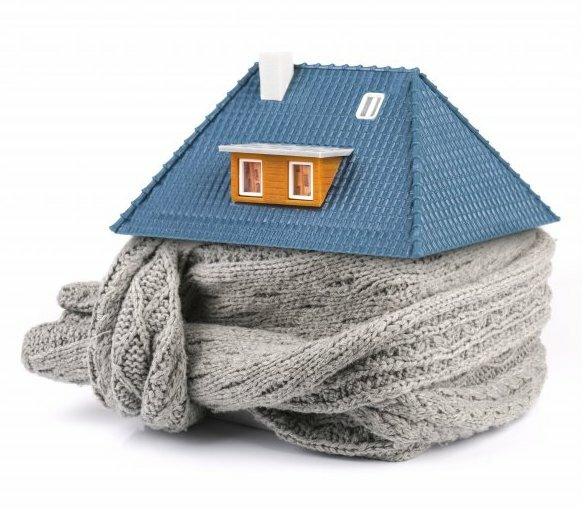 We hope these tips will help you avoid a sudden furnace breakdown. As always, if you need help or have questions, we are here to help! Tip 1: Clean those air filters, air ducts, registers, and exhaust vents! If you have a ducted furnace system, its health and yours depends on the state of the air filter, air ducts, registers, and exhaust vents. In fact, you can see at a glance how healthy and clean your indoor air really is just by taking a look at your furnace’s air filter. If it is see-through clean, give yourself a gold star. But if it looks like a giant dust bunny, your furnace just sent you an SOS. The more clogged your air filter, air ducts, registers, and exhaust vents become, the harder your furnace has to work to push the heated air into each room in your space. This causes additional wear and tear on the motor, blower, and other moving parts. Not to mention that when your furnace finally does succeed in blowing the air out into each room, it also blows some of the accumulated dust and debris out with it (yuck!). It is a simple, fast, and cheap fix to remove the air filter and either clean it (if it is a reusable type) or replace it. While you’re at it, you can give the registers a quick vacuuming. From here forward, put it in your calendar to do both each month. To clean your exhaust vent, you will need to find where the vent exits to the exterior of your home or office. You will then need to clear away any nearby debris, including snow, ice, or fallen tree limbs to get to the vent itself. From here, you may be able to use a vacuum cleaner with a nozzle extension to vacuum out any trapped debris. If this is not possible, it is usually best to call out a professional. It is simply imperative to keep the exhaust vent free and open to avoid one of the most dangerous of all wintertime fire risks. 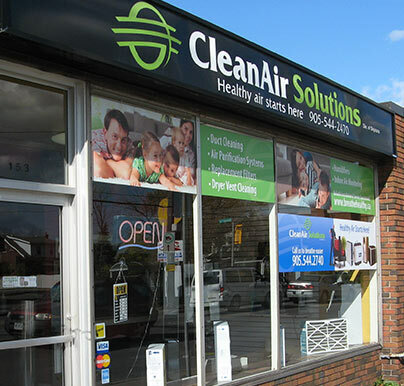 To clean your air ducts, we recommend you contact our sister company, Clean Air Solutions, to come out and do a thorough professional indoor air duct cleaning and disinfecting job. We promise you will be glad you did! For a gas furnace in particular, one of the most common mid- to late winter repair needs is a blocked burner. The less frequently you clean the air filters, air ducts, and registers, the more likely the burners are to get blocked and stop working altogether. Burners get blocked when dirt, dust, and debris accumulate on and around the gas jet system. The more debris builds up, the harder your furnace has to work to get the burners to ignite. Loud “booms,” “knocks,” and other suspicious sounds can serve as an early alert to signal that the burners are getting dirty. When your furnace starts hesitating to come on, this indicates the burners are failing to ignite. Unless you feel very comfortable working with gas furnaces, it is best to bring in a professional to do this type of exacting burner removal, cleaning, and replacement project. NOTE: Sometimes, a delay in starting is not the fault of clogged burners, but of a burned out ignition switch. If this is the case, it is simply a matter of bringing in a professional to replace the ignition and check to ensure the electrical connections are clean, safe, and secure. The blower motor is the hardest working component in your furnace system. If it doesn’t work, nothing works. One of the first steps on the path to a blower burnout is worn out bearings. When this starts to happen, your furnace will try to warn you with a particularly unpleasant screeching sound. If you can catch it early, you may get away with replacing the bearings, a relatively minor repair. Missing the early warning screeches can mean you move forward to the next round of warning signals—grinding or squealing noises and a unique type of burning odor. If either or both of these are present, it is quite likely your motor is on its way to failing entirely. This also means you are overdue to call in a pro to help troubleshoot what is going on and, hopefully, save the blower motor with a repair rather than having to invest in a full replacement. Here at Shipton’s, we proudly serve the Hamilton and surrounding areas, including Oakville and St. Catharines. Our 24/7 emergency repair service (including nights, weekends, and holidays, no exceptions) is one of our most popular winter services. But don’t wait until your furnace breaks down—give us a call today to schedule your winter maintenance and save $25!